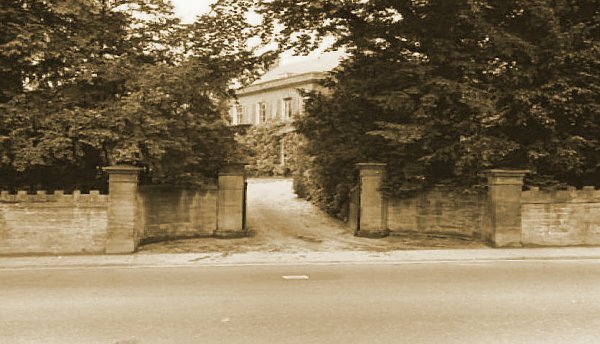 Hendford Lodge was a late eighteenth or early nineteenth century house in Hendford, almost certainly built by the Cayme family, who prospered as glove and linen cloth manufacturers during the eighteenth century. The stucco house, set in its own extensive grounds, had stone quoins, cornice and architrave. The main garden front was of two storeys and three bays with shutters to the first floor windows. The entrance front had a trellis porch with a peaked roof and acorn finial. A lower two-storey wing to the rear had a single large chimney stack set diagonally. A detached stable block, under a hipped slate roof, had a Ham stone front with three round-headed openings to the ground floor with semi-circular windows between them while the first floor had alternating semi-circular and blind windows. Certainly William Cayme (c1750-1833), the partner of William Brett in the sail-cloth manufacturing company of Brett & Cayme, was living there in 1807. 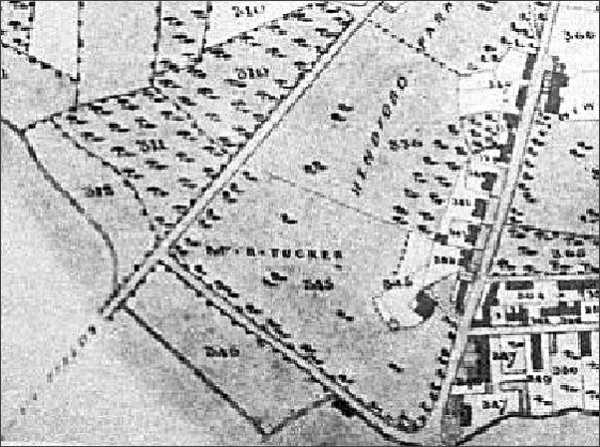 E Watts' map of Yeovil of 1806 shows the property as owned by William Cayme. 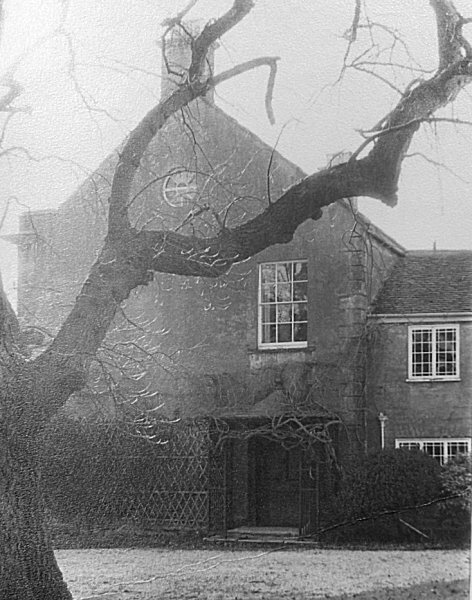 William Cayme became bankrupt in 1823 and this may have caused him to sell Hendford Lodge; certainly by about 1830 Hendford Lodge was the home of glove manufacturer Robert Tucker the elder. In the 1832 poll book Robert Tucker the elder and his son Robert Tucker the younger (1802-1867), later mayor of Yeovil, were both listed, separately, as living in Hendford; Robert the younger by virtue of a freehold house and Robert the elder by virtue of freehold land. Robert the elder died in Yeovil in the autumn of 1841. 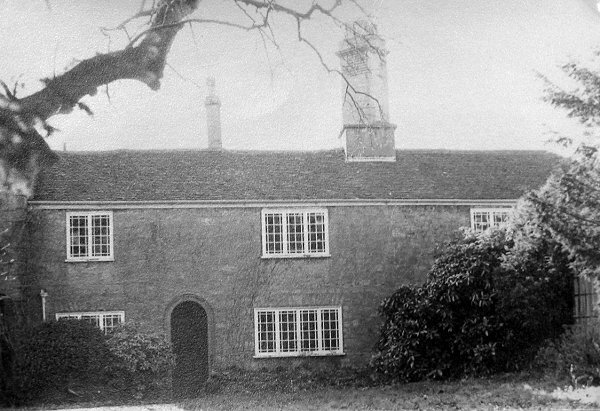 Robert Tucker the younger continued to live at Hendford Lodge until his death there on 27 October 1867. The wealthy son of a London magistrate, Louis Walter Stobart origianlly from Cheshunt, Hertfordshire, occupied Hendford Lodge with his wife Harriett née Haycraft (27 years his junior) and two servants until his death in 1915. He was followed by RB Taylor and Hendford Lodge remained in the Taylor family until its final demolition. 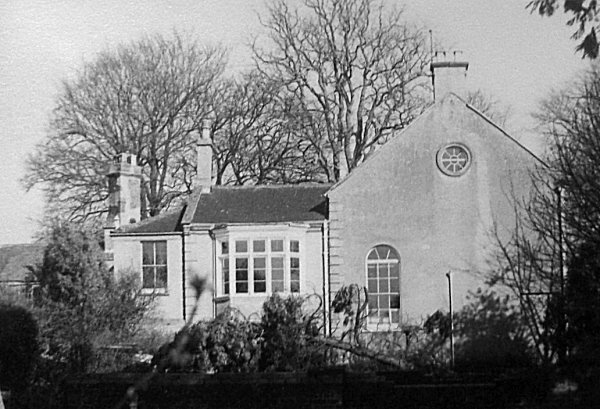 Hendford Lodge was demolished in 1973 for the building of the new Police Station in Horsey Lane and the building of Queensway. The site is now partly occupied by the medical centre. 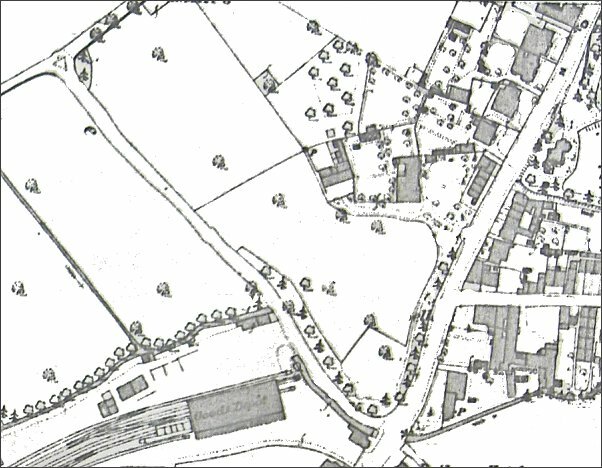 Based on the Ordnance Survey map of 1889, Hendford Lodge with its large stable block is seen at centre set amid its still-extensive lands. 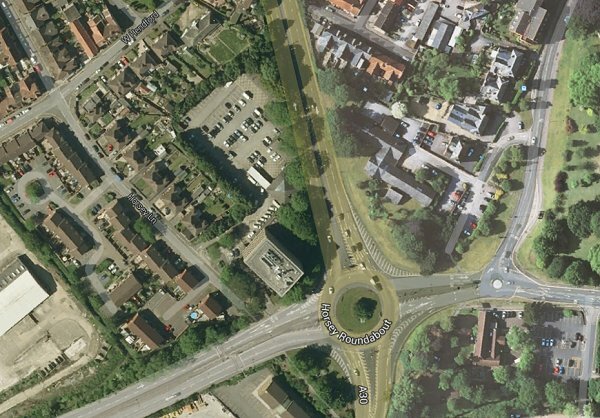 The corner plot at the junction of Horsey Lane and Hendford, towards bottom centre, was the tennis courts area - now the Horsey roundabout. Satellite view of the same area today 'borrowed' from Google earth. The Hendford entrance to Hendford Lodge. 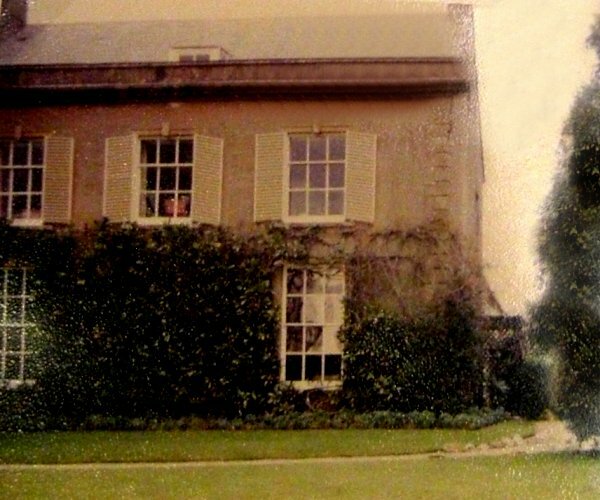 Hendford Lodge, the garden front, photographed in the 1960s. The house was was built for the Cayme family. It was demolished in 1973. The entrance front had a trellis porch with a peaked roof and acorn finial. A different aspect of Hendford Lodge. A lower two-storey wing to the rear had a single large chimney stack set diagonally. 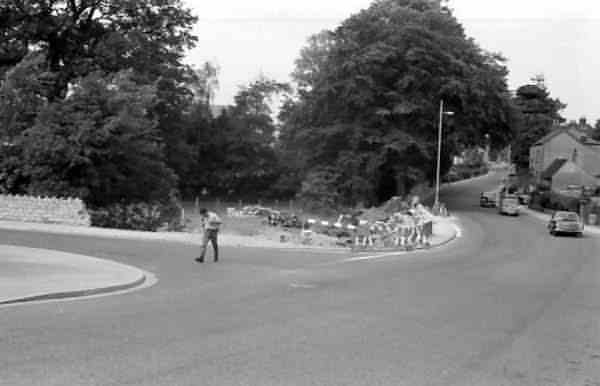 The wall of Hendford Lodge being demolished in preparation for the construction of Queensway. At right is Hendford, at left is Horsey Lane.